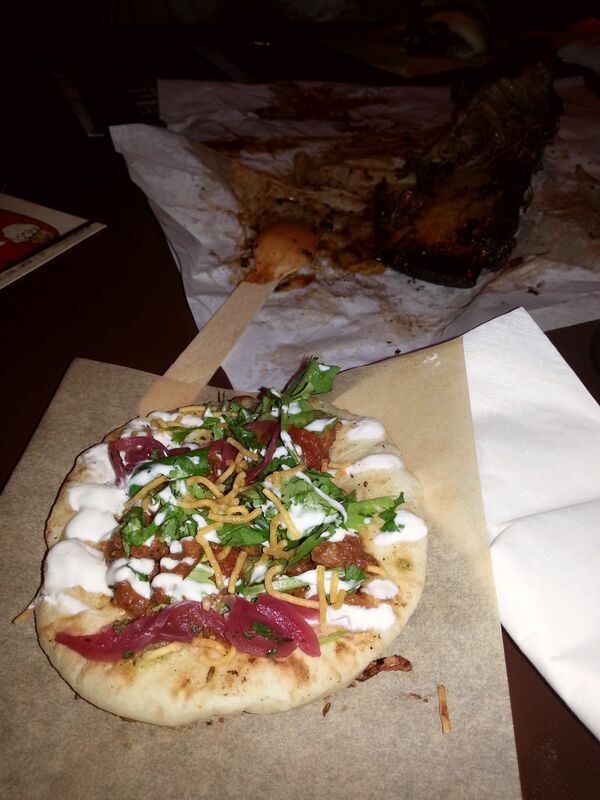 To see off the end of term 1, we decided to invite our members on a trip to Street Feast, an indoor night food market at Dalston Yard in the vibrant area of Hoxton and Shoreditch. Inspired by the night food markets of the Far East, the variety of street food from across the globe combined with the buzz of foodie excitement and live music, not to mention a wide selection of hot cocktails, made for an eclectic atmosphere. 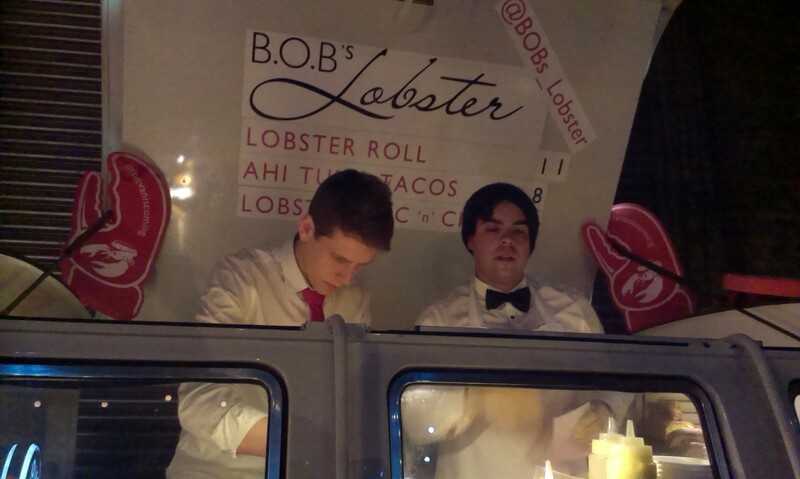 Undeniably the most popular stand, B.O.B’s lobster roll was the perfect combination of sweet chunks of lobster meat held together with a small amount of mayonnaise and various other condiments in a crisply toasted brioche roll, still soft on the inside. 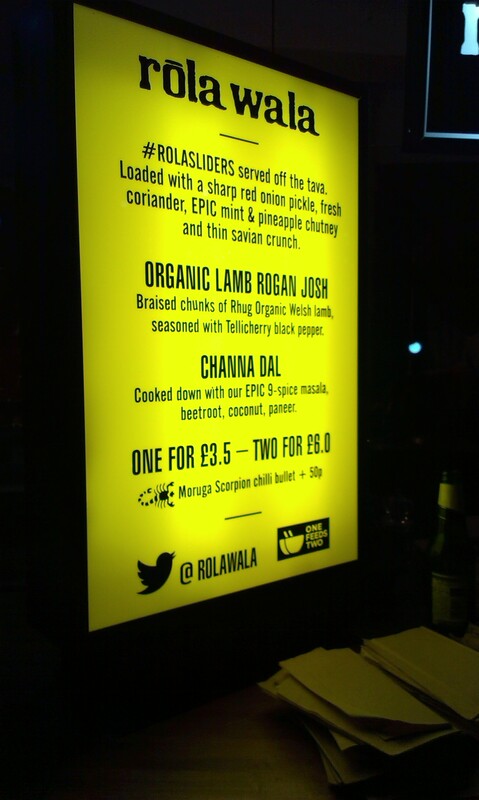 Rola Wala’s BBQ lamb Rogan Josh, best described as an Indian bruschetta using mini pitta breads and curried lamb, served up a powerful pack of flavours with a fair portion of tender meat. The same could not be said for Smokestak’s beef ribs though, as the ribs were rather overcooked, leaving the meat very dry and the outer layers overbearingly smokey. It was almost like we were eating the charcoal BBQ itself, whereas the inner parts that hadn’t been directly exposed to the smoke tasted bland. Before going on, it was time to try a hot cocktail, and the hot buttered rum sounded like an enticing wintery drink. 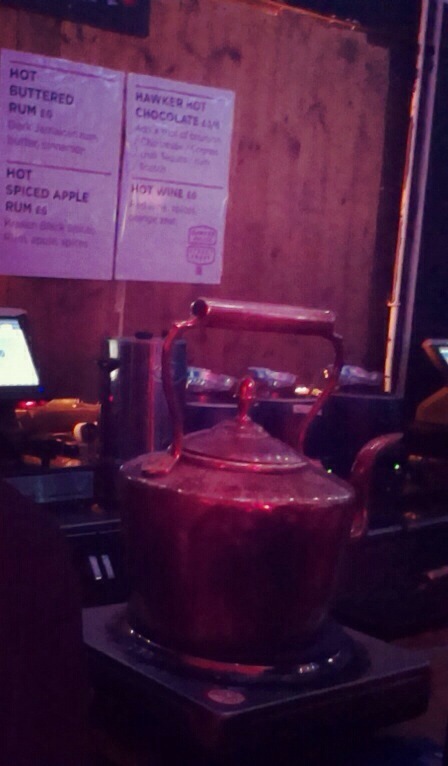 It was certainly something that we hadn’t tried before, and made for an interesting alternative to hot chocolate and mulled wine as the ultimate winter season drinks, but for some strange reason it tasted distinctively apple-like.. Maybe they had poured us the hot spiced apple rum by mistake?! After a long wait for the Yum Buns, we were looking forward to seeing what all the fuss was about. 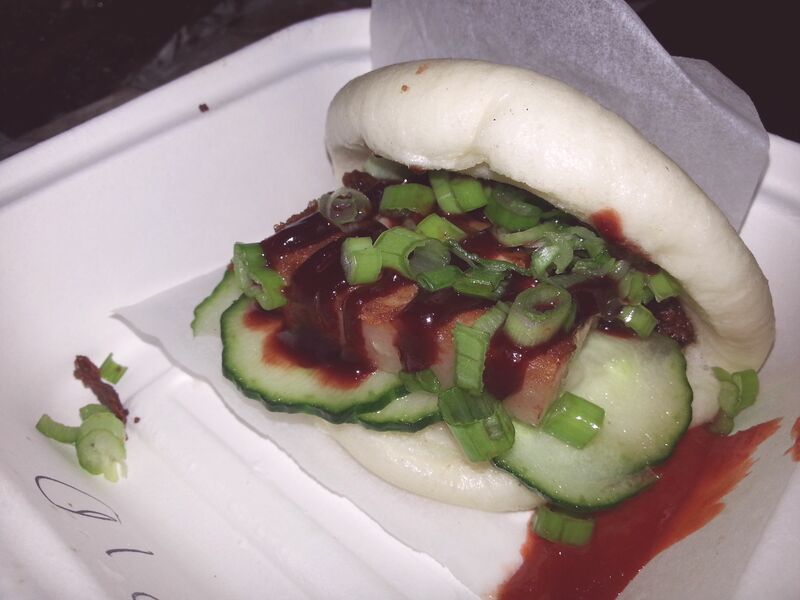 Perhaps it was the very fact that it took about an hour to queue for these buns which made us expect more, but truthfully the roast duck bun was a poor attempt at restyling the ever-popular Crispy Duck into an on-trend street food item. It consisted of a chunk of fatty and slightly overcooked duck meat, smothered with a tad too much hoisin sauce and spring onions, all cushioned under by a steamed bun that was too chewy. It was a similar case for the Belly Pork bun, and although this is naturally a very fatty cut of meat, they still have quite a lot to learn from Shoryu’s Hirata buns! 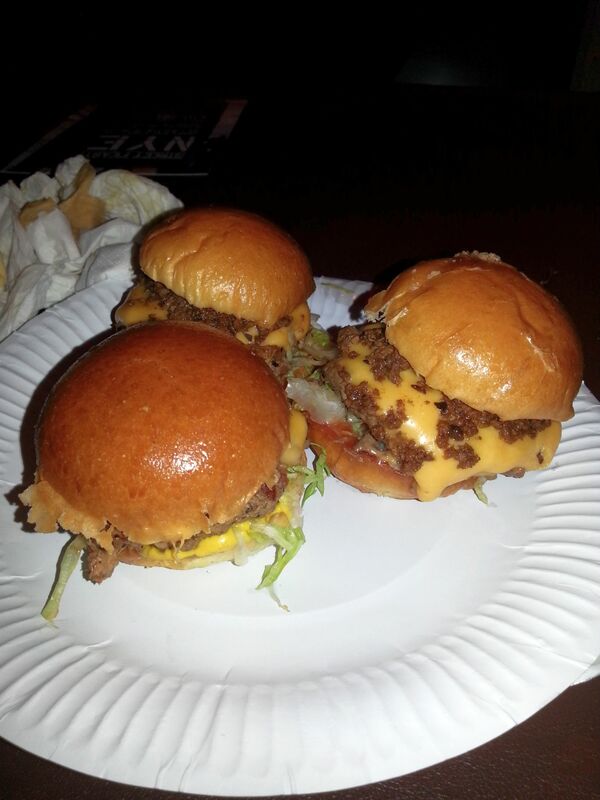 The classic sliders, however, were cooked well since the beef was succulent and juicy, with a soft and light brioche bun, just how a proper burger should be. 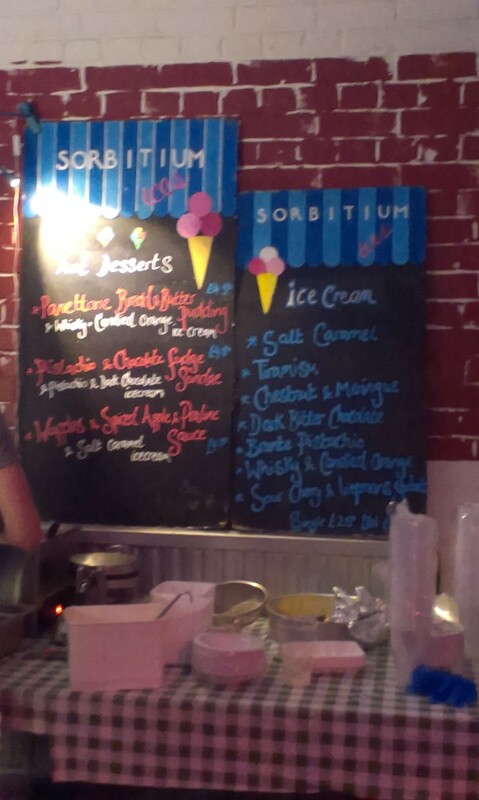 To round off the night, it had to be a freshly made waffle, which was fluffy on the inside and crisp on the outside, served with a rich praline sauce and a scoop of chestnut and meringue ice cream – a refreshingly original flavour with a crunch, complementing the waffle very well indeed! Overall it was a great night out with delicious smelling food everywhere you looked, and the bottom line is London needs more of these night food markets! For those of you who missed out, you will be pleased to hear that they will be doing a New Year’s Eve special, so you can skip the standard overpriced NYE set menus, ever-overcrowded clubs or the freezing cold wait for the London Eye fireworks, and countdown to 2014 with good food, hot cocktails and live music. Next PostBrunch with Honey & Co.